There is always something cheesy about certain things. Now English is a language with subtle nuances. When you say cheesy you can infer it to be unpleasant or fishy or you can infer it to refer to cheesy things as in you love them! If you ask me, I would say I would relate to something else as well. Something mysterious in the nice way, the ways your mind works on certain things. There are always certain things that you keep as fancy and not really want to talk about right. Like couple of things I used to love as a 7 year old kid. One incident that comes to mind, that I might think of being cheesy would surely be this. I might even love to do it again. I love cheese, of course in the right amount and in right flavour. So if there is something else that I might like, I would even relate to it being very cheesy for me. Have I lost you? Anyway coming back to this incident, I might have mentioned it before, however here it is. It’s to do with Bourn vita, sugar and milk. If you haven’t tried it yet, I suggest you do it right away, to know how cheesy it can be and how much you would be taken in by that. Well to elaborate, Amma used to give me my milk with sugar, bourn vita with milk poured over it, without mixing for want of time. When you take it to gulp down after a while, you will see the sugar mixed in with burn vita at the bottom. It looks different and tastes awesome. What I used to do was, simply dip in and lick the whole thing right away. Remember there is always somebody hovering around and this needs to be done in seconds! After the deed is done, I either had to convince Amma that she forgot to add sugar or gulp it as such. Most times I had to gulp in as such, the wonderful memories afore made it all fine. Anyway for the next dish that I planned for the party theme, it had to do with cheese. With Konda and Peddu loving cheese just like me, I had to have them on list right. They really make me proud with their similar tastes and preferences in food esp. cheese and pizzas! I am exactly now sure when I thought of cheese sticks. However it’s been on mind for a long time and I finally decided I am going to do it this time. I didn’t have a recipe in mind, everything was work in progress and it was so wonderful that the final dish was something so liked by everybody that it disappeared within seconds. I had to cajole them to leave something for me to click pictures. Other times I might have let them finish off, with a dish planned for everyday, I can’t really afford to do it. It’s a different story if they hadn’t liked it. Coming to the recipe, it wasn’t clear to myself how I was going to do it. I only knew I need to have a dough with white flour, and cheese to be stuffed in. As I went along, I modified the recipe. I need to make it spicy, so came in Chili flakes. Then there was a hurried search for the Dominos’ chili flakes that were lying around. Just as I thought, Athamma disposed them just yesterday! So had to make chili flakes. 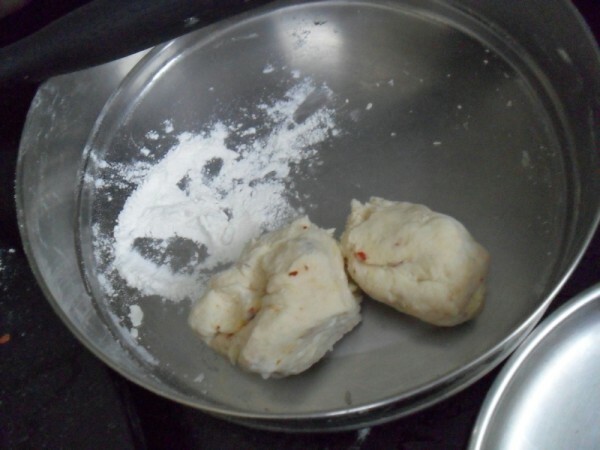 Then went about kneading the dough. No shortening added as cheese was to be stuffed in. 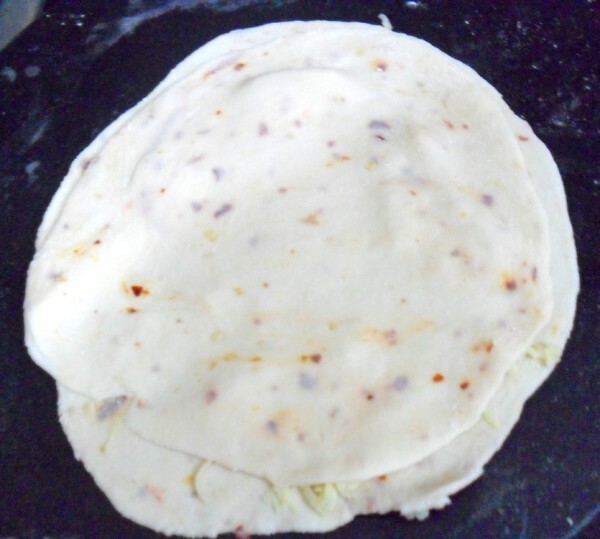 After stuffing cheese between two layers of rolled out discs, then I thought what next! I suddenly remembered kaja and decided to do as that. Finally after pressing it down, I rolled it around to get the swirls. 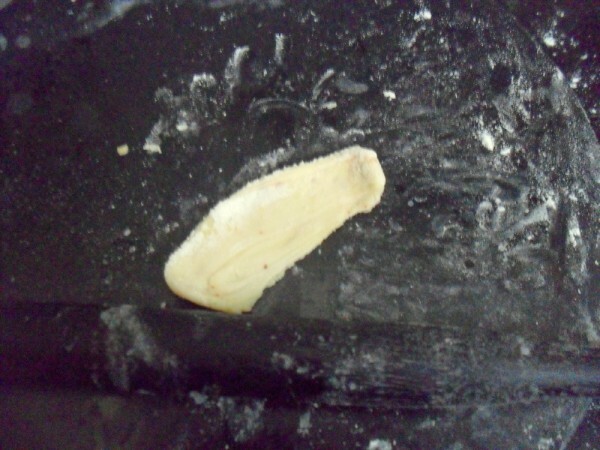 When you press it down, your stuffed in cheese will come out, it’s ok and you can continue pressing it further down. Finally you twist it and roll it like a rope. 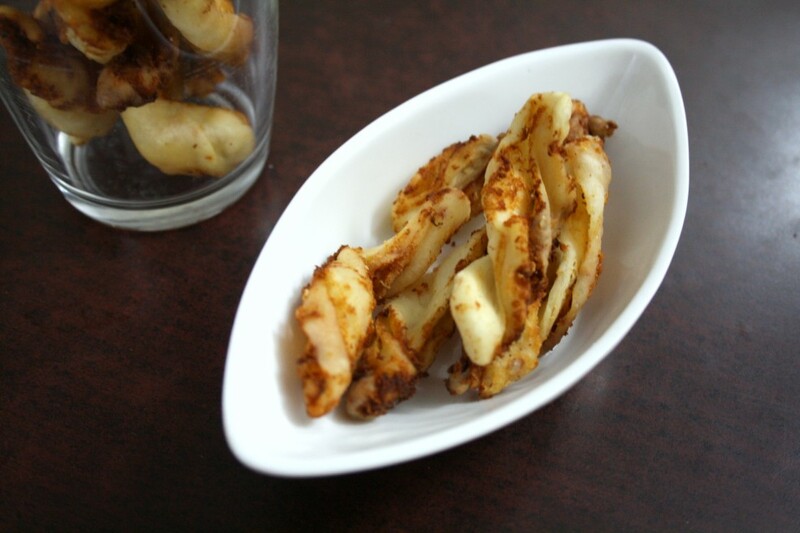 When you deep fry these in low flame, the dough ends up being crispy. It was such a wonderful feeling when your kids rush in and grab what’s there, not waiting to be told off. Well I requested them to have pity on me and promised more as they asked for it for today’s snacks as well. Make the chili flakes if you don’t have them ready. 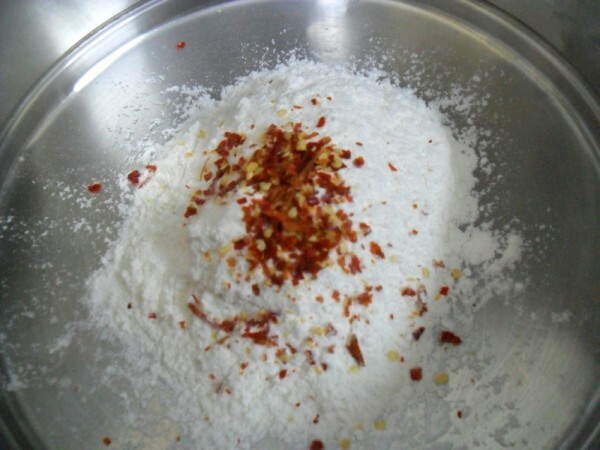 In a bowl, take the flour, add chili flakes, salt and slowly add water to knead to a stiff dough. Pinch out small balls, dust and roll out into thin discs. 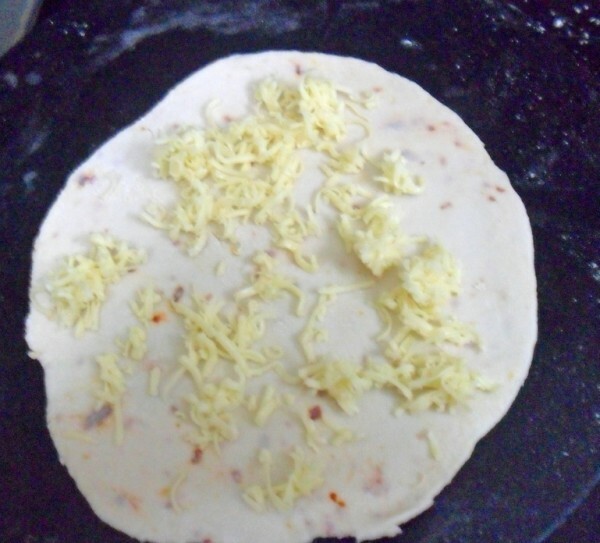 Spread the grated cheese over one layer, completely cover with another rolled out layer. 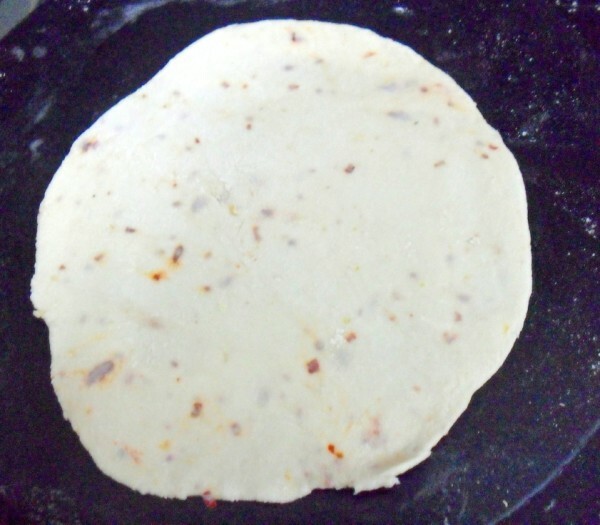 Press the top layer very firmly over the bottom and tightly roll them forward. 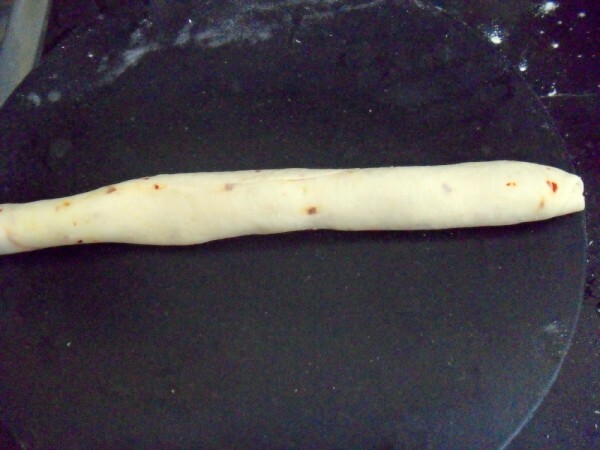 You will end up with a roll, which you can again roll down to make sure the two layers are completely struck together. Now cut out small cubes from the rope. Dust and press it down to get a oblong shape. You will have the cheese coming out. You can ignore and twist it round. 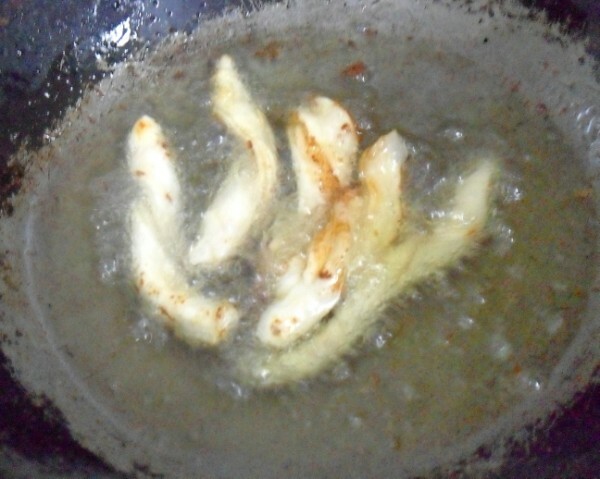 Heat oil in a pan, when it is hot, drop these and fry on both sides. 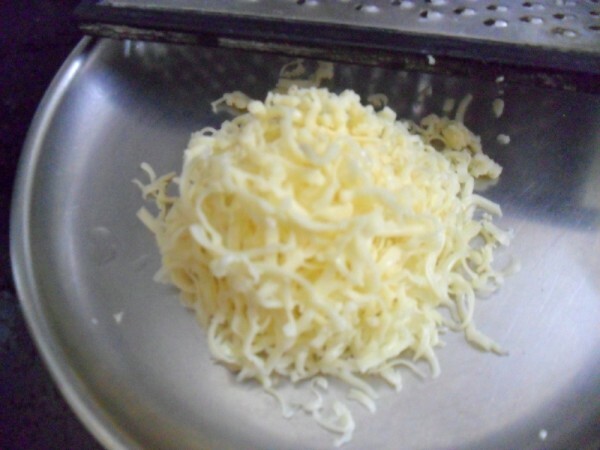 The cheese will not steep out, rather it will get the layers to seperate. Cook on low flame to make sure all the layers are cooked to crispy texture. The cheese that has come out will get more browned then the rest, that actually gives a wonderful taste. You need to wait for it to cool down a bit if you want it really crispy. 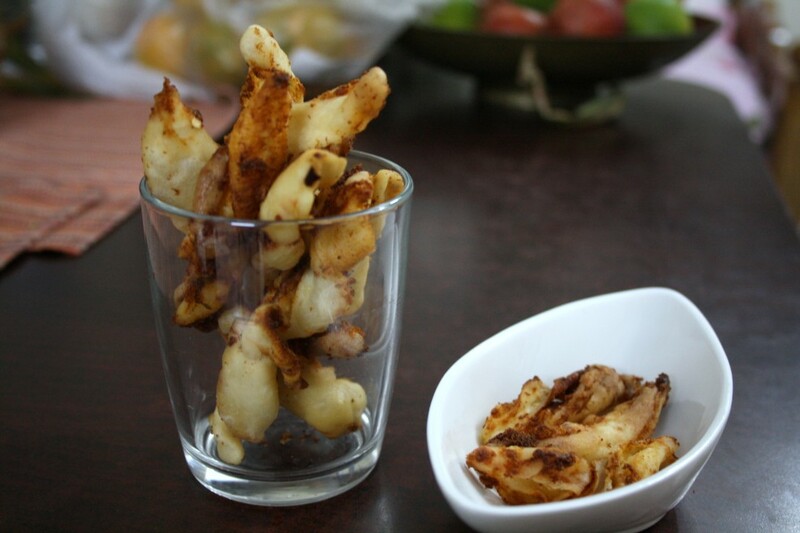 I remember giving kids the milk in the same way….and Barkha would want only bournvita and sugar and eat it off with a spoon….the cheese straws are tempting me..but did the cheese ooze out?,,,I would bake these, calories, calories,…but loved these bites for sure. 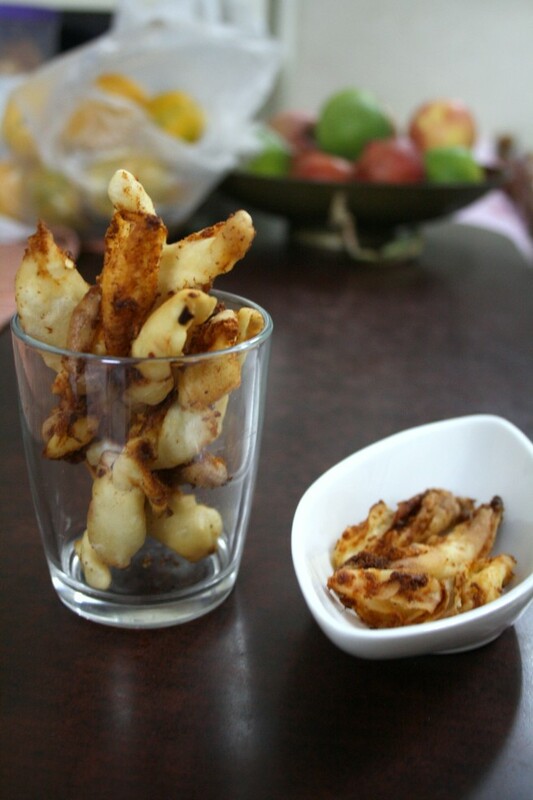 I can have this cuties with a simple spicy sauce, love to munch rite now. Its always memories keep us alive.Love the cheese swirls.I always wonder,how do you write a page.OMG ,it always fascinates me. 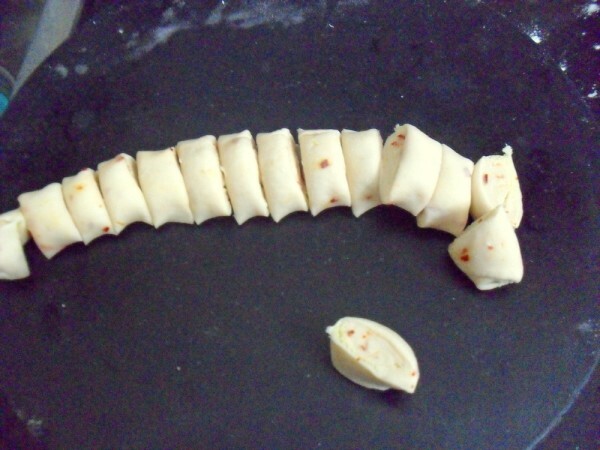 Valli I am going to bookmark this reciep wonderful… and as Vaishali said like to bake them..
Cheesy swirls are class. Must try them. its very innovative and inviting..loved the clicks very much.. I drank bournvita with milk all my growing years, technically as long as my mom took care of me 🙂 I can totally relate with your story. Cheesy straws look yumm! I'm sure the kids were hovering in the kitchen the whole time. Like Vaishali said, I would probably bake them for a lower calorie treat. Cheesy swirl are inviting good one to munch. I too used to do this Srivalli. Milk with sugar and bournvita at the bottom of the glass. I would lick the glass clean! cute story and well narated.. it was fun reading it.. all of us have these Cheesy moments in life.. and these cheesy sticks looks awesome! !